I was spending a lot of time on my portfolio when I was searching for a job, but I haven't had as much time to do that now that I actually have one. 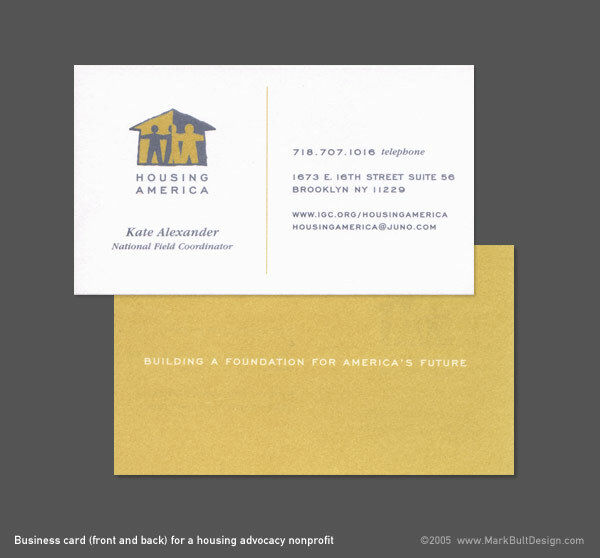 But one of the projects I worked on a few years ago was a logo and stationery system for a nonprofit that works on affordable housing issues, Housing America. Most people who know me have never seen this design, and it's never been on any of my online portfolios, so I thought I'd dig it out of the archive for show and tell (okay, to brag).